Get the insights you need to find the right city. 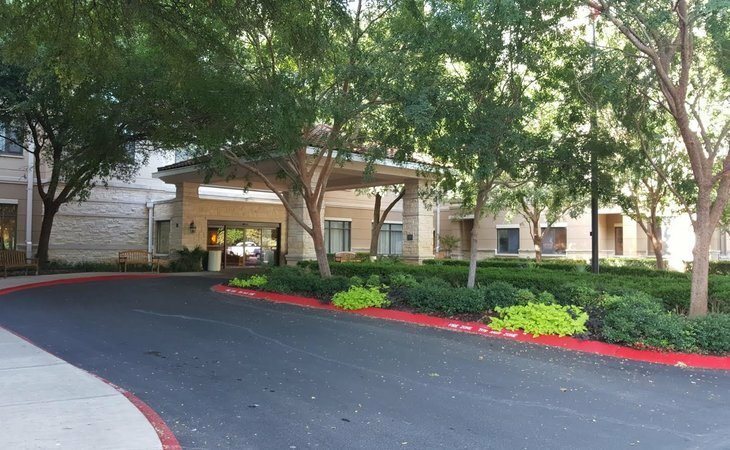 Families looking for assisted living in Texas (TX) have a wide array of communities to choose from, since estimated that there are more than 30,000 assisted living communities serving seniors across the U.S., and over 1,097 statewide. The state is also home to a rapidly growing number of senior citizens, with adults over 65 making up an estimated 12.3 percent of the population. 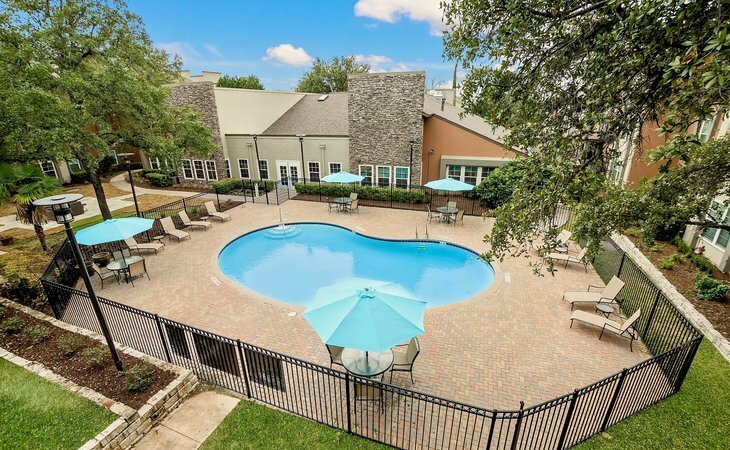 A resident in an assisted living community in Texas will pay $3,500 per month on average. As of 2018, our family advisors have helped more than 32,610 families in Texas find the right assisted living community. See more than 5,411 authentic verified reviews of assisted living communities across Texas from residents and their loved ones. Browse our comprehensive directory of more than 1,097 assisted living communities statewide for photos and information about amenities, costs and more. When it comes to care options, assisted living is just one of several choices available to seniors. Some care options, like part-time in-home care or independent living, may cost less, while others like memory care or skilled nursing are likely to cost significantly more. Seniors can speak with their medical practitioners to receive guidance on what level of care will best suit their needs and abilities. Type A facilities refer to communities that house residents who do not require routine care while sleeping and are capable of following emergency directions. Type B facilities attend to residents who do require routine care at night, have difficulty following emergency directions and require evacuation assistance. In Texas, assisted living care is referred to as assisted living and residential care (ALRC), which includes residency in a 24-hour care facility, supervision of medication administration with assistance if needed and help with daily tasks such as transportation and personal care. The STAR+PLUS waiver is a statewide Texas program that offers a variety of assistance services to keep seniors in their homes or assisted living communities. Financial assistance is provided to lower the cost to Medicaid by reducing the use of nursing homes. STAR+PLUS services are provided through managed care organizations (MCO), and waivers are limited, so there is the possibility of being wait-listed. Eligible seniors must be Texas residents, must be 65 years or older, and must require a nursing facility level of care. Applicants must also fall below the monthly income limit of $2,250 and asset limit of $2,000 for individuals. Applications for the STAR+PLUS waiver must be submitted online. Community First Choice is a Medicaid entitlement program that is available to everyone who is eligible with no waiting list. This is a self-directed program that provides care to elderly Texans by a personal care assistant of their choice. Although this program does not pay for room and board, it can help offset other costs to make assisted living a more affordable option. Applicants must require help with daily tasks that meet the level of care provided at a nursing home. As CFC is a Medicaid program, applicants must also qualify for Medicaid. While many families use their own funds or personal assets to pay for assisted living, there are plenty of additional options to cover these costs. Visit our 9 Ways to Pay for Assisted Living page for more information. Elderly veterans have access to local VA centers that can provide them with resources to aid in the search and financing of senior care. Case managers assess eligibility and help seniors and their families navigate the government programs available for those who have served in the armed forces. A full list of Texas VA offices along with their contact information can be found on the Texas Veteran's Commission’s website. The Social Security Administration is another government program designed to assist the elderly in accessing federal resources. Seniors can visit their local Social Security office to get an explanation of their benefits and information about Social Security programs they may be eligible for. Every assisted living community is required to perform an extensive assessment of each resident within 14 days of admission and fill-out an individualized service plan (ISP). The assessment must be performed by qualified staff, and the findings must be recorded on community documentation. Each resident’s ISP should outline individual requirements, likes and dislikes, and strengths and weaknesses to help the resident maintain a healthy degree of function. Texas state regulations outline some common qualities of residents in assisted living communities, including the need for assistance with daily living tasks, assistance with medication administration, reminders for toileting and exhibiting mild emotional or behavioral difficulties. If a resident’s need cannot be met by the services provided at an assisted living community or secured through an outside provider, the community is not permitted to admit or retain the resident. If a resident’s status changes and is no longer an appropriate fit for the community, the community is not obligated to retain them. 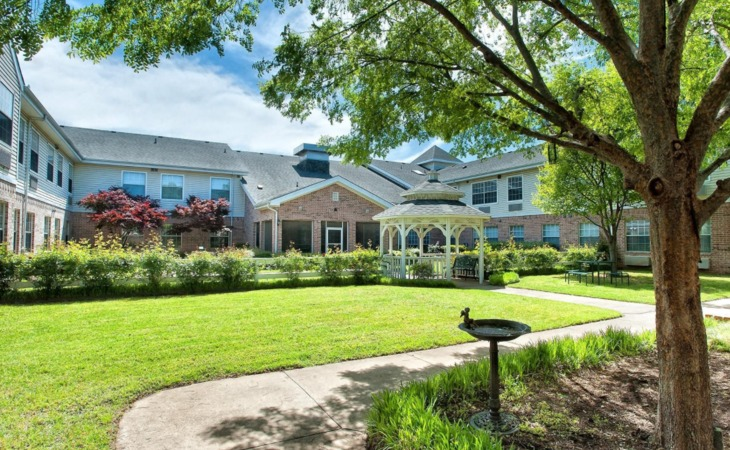 Assisted living communities in Texas provide broad supervision of residents’ mental, emotional and physical health, deliver aid in daily living tasks, handle or oversee personal care and supervise or directly administer medications. Communities are also required to arrange a social activity or event for residents at least once per week. 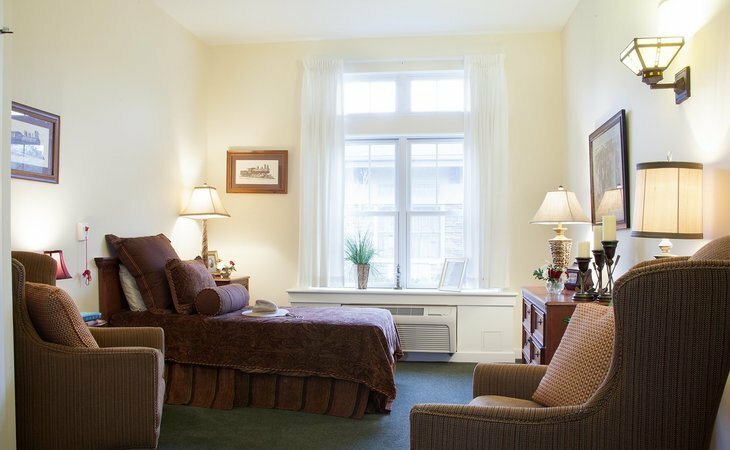 Skilled nursing services may be provided when deemed appropriate, for situations including medication administration, resident assessments to establish further services and administering short-term skilled care for mild illness or injury. Residents are permitted to arrange or hire private health care services from community agencies or licensed home aids. The state of Texas has the STAR+PLUS program, which is for a Medicaid 1115 demonstration managed care waiver. The waiver can cover services at an assisted living community that has a contract with residents’ managed care providers. If an assisted living community offers services that could be covered by Medicare, it’s the community’s responsibility to inform the residents. Communities are prohibited from charging residents more than the federal SSI benefit less a stipend for personal needs for room and board. Families may supplement for additional amenities which are not include in the room and board rate. 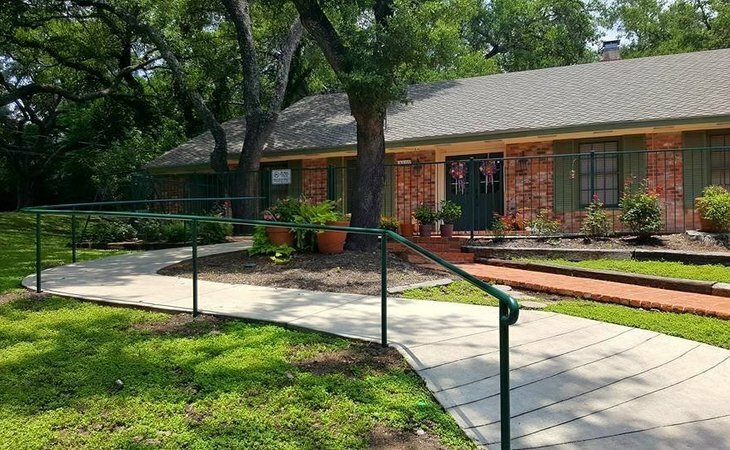 Some assisted living communities in Texas offer private units, but state licensing does not require it. Units may provide occupancy for up to four residents, however, no more than 50 percent of the beds in a community can be in rooms housing over two residents. There must be one sink and one toilet for every six residents on the property, and one shower or bathtub is required for every ten residents. For multi-level buildings, at least one sink, toilet and bathing provision is required on each sleeping floor for residents on that level. Residents who self-administer their own medication should receive a counseling visit on a monthly visit to confirm that they are still capable of managing their own medications. Assisted living communities can provide supervision to residents who require assistance with their medication. Supervisory assistance includes reminders, help with opening and closing containers, dispensing the appropriate amount of medication according to a prescription and ensuring medications are returned to a safe spot. If residents cannot or choose not to administer their own medication, the assisted living community must make sure medication is administered by a staff member who is licensed to do so, or possesses an up-to-date medication aid permit and is being supervised by a licensed nurse. There are no staff minimum ratios required by Texas state law. Each facility must have a manager, a designee authorized to act in the manager’s place when he or she is conducting off-site business and enough staff on every shift to meet the needs of residents as outlined in their individual service plans. In addition, adequate staffing is required to maintain the cleanliness, safety and supervision of the property and residents. In the event of an emergency, sufficient staff must be present to aid in the safe and timely evacuation of residents. Small Type A communities must have night shift staff in the event of an emergency available, whereas night staff at large properties must be directly available and awake. Staff on the night shift at any Type B community must be awake and directly available at all times. All staff must complete training and continuing education appropriate for the position they hold. Managers are required to finish a 24-hour course that includes topics such as resident evaluations, federal laws, accessibility conditions, financial management and ethics. Managers are required to complete 12 hours of continuing education each year. After 4 hours of orientation, staff may begin work at an assisted living community. Direct care staff is required to receive 16 hours of on-site training pertaining to resident care, safety procedures and techniques in managing behaviors. Additionally, 6 hours of continuing education is required annually for all direct care staff. Yearly in-service training must be provided by an assisted living community for any licensed nursing staff or aids on staff. Anyone seeking employment at a Texas assisted living community must submit themselves for a full background check. Any applicant with a disqualifying conviction on their criminal record will not be eligible for hire. Nurse aides must be listed in the nurse aide registry without marks of misconduct involving abuse, neglect, mistreatment, theft or fraud. Anyone can file a report if they suspect neglect or abuse at an assisted living community. You can call the Texas Abuse Hotline at 800-252-5400, or use their secure website to file a complaint online at www.txabusehotline.org. Caring.com’s Caring Stars award program recognizes the best assisted living facilities across the U.S. based on reviews from family caregivers and older adults. This award is meant to help older adults and their loved ones find the best assisted living or in-home care option in their area. The list below shows up to 10 listings that have won the most Caring Stars annual awards in their state, sorted by their current overall average rating. For a complete list of Caring Stars winners for each year, please visit our Caring Stars info center.